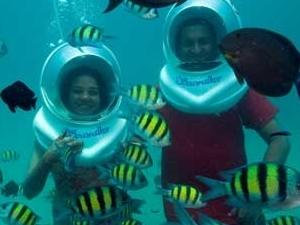 Lush Green Adventures Tours invites you to experience the unparalleled beauty of the Indian jungle. With its towering, ancient trees, enchanting chorus of forest birds, and herds of gentle chital, this is a travel experience unlike any other. 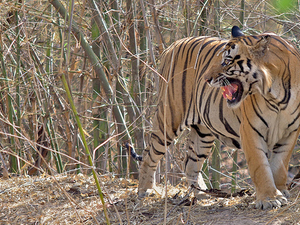 India is home to many national parks and within these a fantastic array of wildlife, much of it unique. 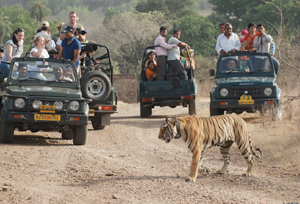 Lush Green Adventures Tours offers packages to the National Parks and Wildlife Sanctuaries of India. 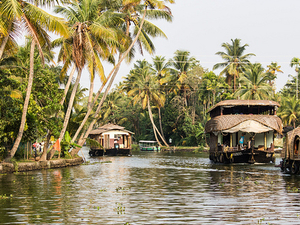 Travel to a luxuriant humid jungle and watch the Tigers, Sloth Bear, Barasingha, Chittal, Langoor Monkey, Birds and many more in the wilderness. 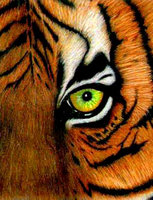 Hear the sound of a Tiger snarling in the jungle, feel the earth rumble, and marvel at the graceful sight of brids in flight around their nesting grounds in the wildlife sanctuaries in India.Our wildlife safaris in India combine incredible scenery and remarkable cultures but they give attention to mainly on wonderful wildlife. All our fanatical wildlife safaris are designed to ensure you splurge the utmost length of time within the best national reserves being escorted by the best naturalist guides.